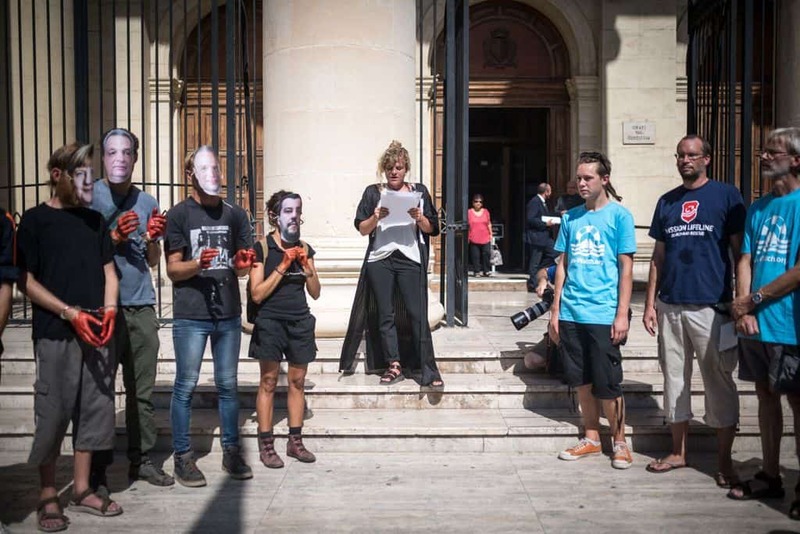 I was in Valletta this morning when activists on the trapped ship Lifeline Mission protested in Valletta. They couldn’t have been more than 10 people marching quietly down Republic Street. 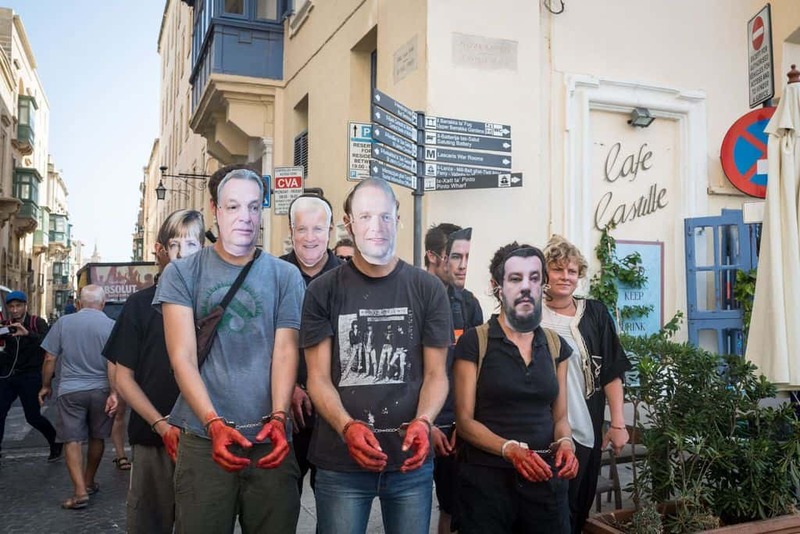 One of them wore a mock mask of Joseph Muscat. Some people recognised that and the fact the protester was wearing handcuffs. They did not recognise the masks on the other protesters. They know ‘Joseph’. It would have taken an eternity to explain who Matteo Salvini and Viktor Orban are. With some of them, you’d first have needed to explain what ‘abroad’ means. One guy of the sundry roadside mockers summed it up. “If they keep protesting, next time Joseph will win by 50,000”. Ħamsin elf! And he didn’t even notice I was there. A people that is not zealous about its right to protest can be subjected to anything. And today’s protest was about the suffering of people who are not us at the hands of our government. The suffering and the drowning. For 75 days the Lifeline has been detained in the harbour of Malta. This is 75 days that the Maltese authorities have failed to show any evidence of illicit behaviour by Lifeline. 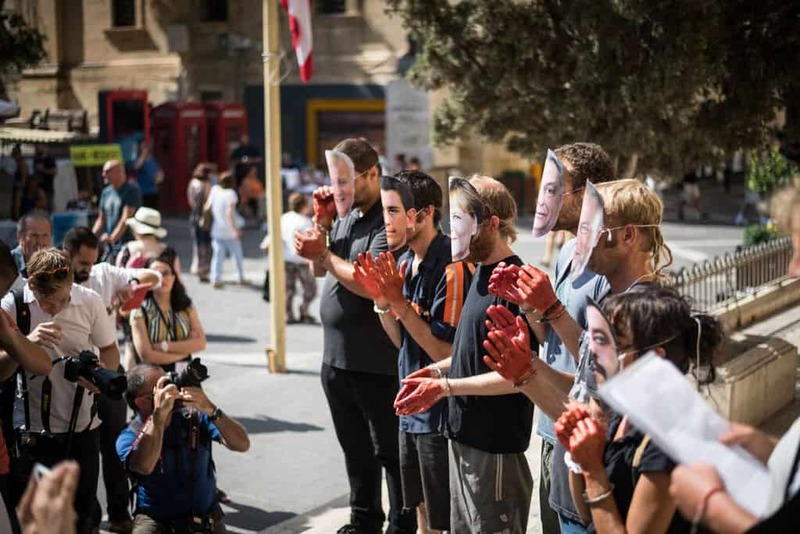 At today’s trial of LIFELINE’s captain, activists symbolically took leading Maltese and European politicians like Joseph Muscat and Angela Merkel to court and accused them of aiding and abetting 380 cases of manslaughter by blocking any civil rescue operation in the Mediterranean Sea. Today marks two and a half months of disgraceful behaviour by Malta and other European states, which has led to more than 380 people drowning since the civil rescue fleet have been detained. The crew of MISSION LIFELINE saved 235 lives during their last rescue mission in the Mediterranean Sea and their Captain Claus-Peter Reisch is now being accused of operating without the correct ship registration. “All previous investigations have failed to support this claim, and even after 5 court hearings, the Maltese Prosecution could not present any evidence. This shows how much energy the authorities put into delaying a legal solution to a human rights problem. It’s gambling. But not a gambling problem.